SyFy has announced the schedule for its 10th annual 31 Days of Halloween programming event, running through October 2018. In addition to new episodes of the Syfy shows Van Helsing, Z Nation, and Channel Zero (pictured above), the 2018 lineup also includes five original films premiering each Saturday night in October, as well as the broadcast TV premiere of Leatherface and other notable genre favorites. Read on for the full press release and highlights from the schedule for SyFy’s 31 Days of Halloween 2018! With October just around the corner, SYFY is gearing up for its 10th annual “31 Days of Halloween,” during which the network will air horror films and shows all month long. Since SYFY is just as excited about Halloween as many of you are — if not more so — you can expect to catch the premiere of five original horror films, a new installment of the anthology series Channel Zero, new seasons of Van Helsing and Z Nation, and a slew of cult horror flicks, including American Psycho, Insidious, and The Texas Chainsaw Massacre. A father and daughter check out a small-town escape room and discover there’s something sinister about the place. Starring Mark Ghanimé (Reign). A teenage girl under house arrest discovers that the nightmarish urban legend of the Mexican boogeyman, El Cucuy, are true. Starring Marisol Nichols (Riverdale) and Brian Krause (Charmed, House of Purgatory, Sleepwalkers). When recent college grad Manny has trouble making ends meet, his father-in-law offers him a job evicting delinquent tenants. Manny soon finds himself unleashing a karma demon that stalks him at every turn. Starring Mandela Van Peebles (Jigsaw), Brytni Sarpy (Truth or Dare), and Tony Amendola (Annabelle, Once Upon a Time). Sabrina’s perfectly planned high school reunion goes south when a monster keeps killing all the guests in this horror-comedy. Starring Kacey Rohl (The Magicians, Hannibal), Asha Bromfield (Riverdale), and Varun Saranga (Wynonna Earp). An all-female crew on a boat in the middle of nowhere must deal with an invader on their ship. Starring Nikohl Boosheri (The Bold Type). In addition, Channel Zero returns with The Dream Door, which premieres over six consecutive nights from Friday, Oct. 26, through Halloween night, Wednesday, Oct. 31, at 11 p.m. ET. Based on the short story “Hidden Door” by Charlotte Bywater, Channel Zero: The Dream Door follows newlyweds Jillian and Tom, who’ve each brought secrets into their marriage. When they discover a strange door in their basement, those secrets start to threaten their relationship… and of course, their lives. 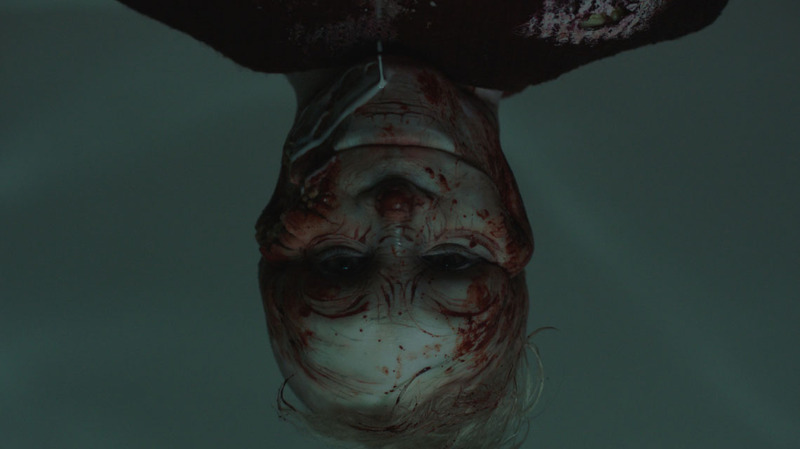 Created by Nick Antosca, Channel Zero: The Dream Door is directed by Evan Katz (Small Crimes, Cheap Thrills) and stars Brandon Scott (Grey’s Anatomy), Maria Sten (Straight Outta Compton), Steven Robertson (Elementary), Troy James (The Strain), Steven Weber (Wings), and Barbara Crampton (You’re Next). After the premiere on Oct. 26, all six episodes will be available on VOD. Meanwhile, Season 5 of Z Nation premieres Friday, Oct. 5, at 9 p.m. ET. Season 3 of Van Helsing premieres Friday, Oct. 5, at 10 p.m. ET. And nope, we’re not done yet. SYFY WIRE will enlist resident horror experts Dany Roth, Caitlin Busch and Kristy Puchko for daily horror-inspired lists, features, and video interviews with such genre luminaries as scream queen Jamie Lee Curtis (Halloween), the legendary John Carpenter(Halloween, The Fog, They Live), and horror movie producer Jason Blum(The Purge, Get Out, Insidious). The site’s Fangrrls vertical will celebrate women in horror throughout October with interviews, videos, and horror-focused episodes of the “Strong Female Characters” podcast. SYFY WIRE will also launch a new limited podcast series, “Every Day Horror,” a daily deep dive into various horror films throughout the month of October. You can check out Syfy’s daily schedule and the full list of movies at SYFY.com.